Mo: " Sources confirmed that Jadhav and Uzair Baloch, a Karachi-based ganglord developed a pivotal relationship 2014 onwards. Due to the latter’s Iranian passport, he was able to freely move in and out of Chahabar." Thank God; credit goes to our Army. I respect your optimism but we need to be brutally honest. The improvement in Karachi is transient and not structural. Transient because Rangers have brought semblance of order but that is addressing the symptom. The underlying dynamic that caused the law/order issue is still there. The fact is Karachi has too many "guests" and not enough "natives". Most Karachites have dual identities. The Mohajir's identity is largely drawn from regions of present day India and that informs their ideal Pakistan. Then you havde the upper country residents from Punjab/KpK who also have their identities that reflect their regions. Then you have the "native" Sindhi's who are a minority in their "jewel on the Arabian Sea". All this has created forces that conflict and grind as they all compete for the finite resources in the city. And you see the result. As soon as Rangers are pulled it things will swirl back to status quo ante. Karachi does not have a "glue" that can bind everybody. Imran: " The fact is Karachi has too many "guests" and not enough "natives". Most Karachites have dual identities. The Mohajir's identity is largely drawn from regions of present day India and that informs their ideal Pakistan. Then you havde the upper country residents from Punjab/KpK who also have their identities that reflect their regions. Then you have the "native" Sindhi's who are a minority in their "jewel on the Arabian Sea"." Karachi is a major metropolis and a microcosm representing Pakistan's diversity....the kind of diversity that I am used to seeing in highly successful Silicon Valley. It's "e pluribus unum"...from many to one...in action. It can be a win-win, not a zero-sum. I believe it's an asset rather than a liability. KARACHI, Pakistan – In the once terror-teeming city of Karachi on the coast of Pakistan’s Sindh province, former New York Mayor Rudy Giuliani is a name some hold in esteem. The violence in Karachi was in a league of its own. The megacity – stuffed with around 25 million inhabitants and infamous as the place the Taliban captured and beheaded Wall Street Journal reporter Danny Pearl in 2002 – seethed with drug smuggling, kidnapping, extortion and daily bomb blasts. Sectarian street clans waged war with hardline Islamic gangs, and it was commonplace for elected political parties to also have their own armed militia wing. In 2013, Karachi ranked – as per the World Atlas – as the sixth most dangerous city in the world. Other rankings had it even higher. But by 2018, it was listed past 50th. So what was the magic bullet? By September 2014, Operation Karachi was locked, loaded and finally ignited. 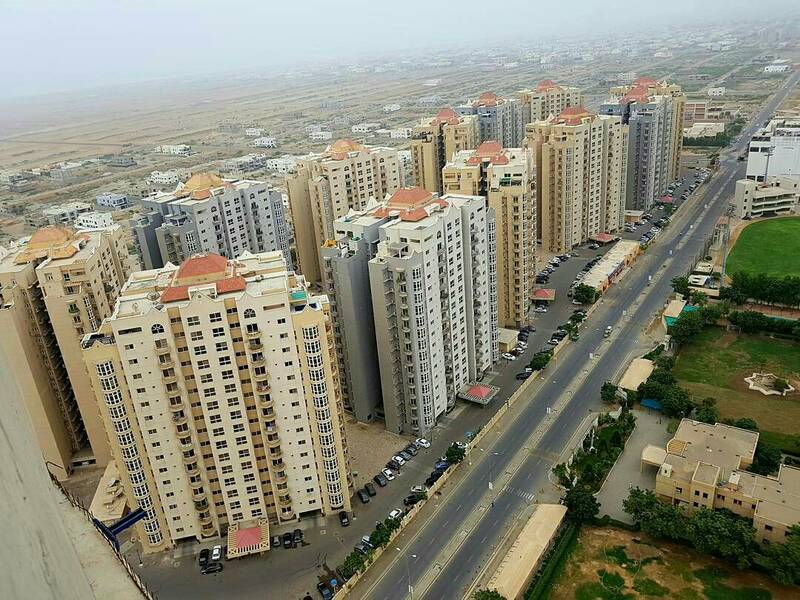 Karachi was divided up into “defense phases” to carry out the meticulously planned operation, of which eight phases have since been completed with a ninth phase to be announced soon. Today in Karachi, students huddle in coffee shops by the seaside, and sneak prohibited beer and hookah into trendy clubs and restaurants. There is a renewed vigor for everything from mass-scale cricket matches to theater performances, film festivals, traditional dancing and cultural pursuits. Somewhere between the Olympics and the world’s biggest, baddest, design-school pin-up lies the Venice Architecture Biennale. Every two years, a few dozen nations deputize a small circle of curators and thinkers to represent them at the show; many of the participating countries are regulars, with permanent pavilions of their own, often dating back to the early 20th century, and located in the leafy Giardini della Biennale near Venice’s easternmost tip. But each edition of the exhibition also brings a batch of wildcards, never-before-seen entrants whose homelands have decided, for whatever reason, to throw their hats into the ring. This year, first-timers included Guatemala, Saudi Arabia, and Lebanon. And social media (full disclosure: mine included) took a special shine to the premier outing from the Vatican, a brace of inventive freestanding chapels by architects both well- and lesser-known. “This is a very political statement,” says Salman Jawed, a member of Coalesce Design Studio, the collaborative, multidisciplinary firm that helped bring the Islamic Republic of Pakistan to Venice for the first time. The politics he’s speaking about are not, at least at first, overtly evident: Situated in a small public park not far from the Giardini, the Pakistani installation, titled “The Fold,” is a roughly four-yard-square cage of irregularly-spaced steel bars towering some twenty feet in the air. Slipping into this rather forbidding envelope via a narrow passage, the visitor discovers a playground-like atmosphere within, a trio of wooden swings dangling from overhead beams, and a pair of wooden benches on curved, brushed-steel rockers. The contrast between stern exterior and playful interior gives a pleasant jolt. But understanding its polemical intent requires a little more digging. As Coalesce partner Zeba Asad explains, in Karachi, “all the urban spaces are in the street.” The Pakistani capital is home to over 21 million people, most of them jammed into a relatively small wedge of the metropolis, with little room for parks, plazas, or other urban amenities. Seen from one perspective, “The Fold” is an attempt to address this condition: The placement of the swings at odd angles means that users are constantly at risk of colliding with their fellow swingers, just as the children of Karachi must hazard cars, pedestrians, and one another as they play in the city’s crowded streets. The rocker-benches perform a similar maneuver, obliging the sitter to negotiate with anyone beside them so that neither will slide sidelong into the dirt should their neighbor stand up. As a metaphor, the installation is at once a teasing critique and a tongue-in-cheek celebration of Pakistan’s jostling urbanism, giving exhibition-goers a taste of Karachi without sparing them its vexing particulars. Not just an urban critique, the installation also makes a broader case for dialogue, compromise, and coordinated action at every political scale: The globe, no less than Karachi, is a crowded place, and the designers identify patterns and prescriptions that could apply to either, layering a second metaphor atop the first.